Bad Tenants and Need to Sell My Salt Lake City Home. Having bad tenants in a home can really be rough on the cosmetics of the house. Whether you want to spruce up the place first or not come to us for a fast and easy sale for cash! Bankruptcy will often through your whole life into turmoil! Your financial burdens may increase because of the amount of debt you remain needing to pay off. Let us buy your home in Salt Lake City so that you can get that extra cash you need while you maneuver your way through bankruptcy. We Buy Homes from Folks Behind on Payments in Salt Lake City, UT. Late payments are a factor in so many other problems in people’s lives. It can cause strains on family relationships, and if not handled properly, can lead to foreclosure or worse. Get ahead of your payments again by selling your homes in Salt Lake City. Divorce Situation in Utah – We Buy Salt Lake City Houses. Divorce is a trying experience, especially when all the process is dragged on by all the secondary work that needs to be done like asset division. If you would like your divorce process to run a bit smoother then sell your house in Salt Lake City Utah to us and we will buy it for cash. Estate Sale in Salt Lake City, UT. We Will Buy Your House. Having a loved one pass away is difficult no matter the circumstance. But if you are left with an estate that is not in order and would like an investor to take the property off of your hands cash, we will buy your Salt Lake City home faster than anybody else. Job Transfer Forcing to Sell House for Cash in Salt Lake City, UT. When you get asked to transfer areas for work the feelings you have can be extremely exciting and nerve racking all at the same time. 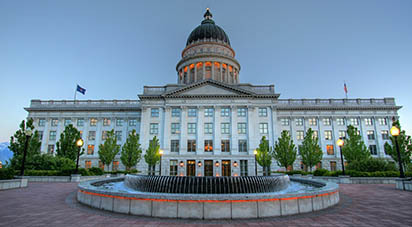 Let us help you by buying your home in Salt Lake City Utah. We can do it fast, and we can do it for cash. Not worrying about selling your house will relieve more stress than you know! Expired Listing! Buy My Salt Lake Home Fast. Have you tried the normal reality path? If so you know that expired listings can create a real conundrum for the family selling their Salt Lake City home. We buy homes in Salt Lake City fast so people don’t have to worry about expired listings! We Buy Salt Lake City Houses Faced with Foreclosure Situations. Are you currently in or close to foreclosure? We can help by buying your house for the cash you need. Protect your family financially by selling your Salt Lake City home today to us for cash.